Bangladesh is a unitary, independent, sovereign Republic to be known as the People’s Republic of Bangladesh has enacted various criminal laws procedural and penal laws for administration of criminal justice. After the independence of the country it is hard working to reach to the top stage of success. It is bounded by Corruption, bribery, poverty etc. so that the country has not yet got reasonable development it should have. The main reason behind stepping back is the criminality of the citizens and non punishment for the commission offence. Whenever criminal justice system is secured and absolute the development become mandatory and it should be because criminal justice system enter fear in the mind that’s why everyone participate equally on the development and no one can escape himself from harming the public property or tranquility. But the dishonesty, corruption, bribery, omission from giving tax etc. are the main cause for the present situation of the country which are criminal in there nature. So if criminal administration of justice be ensured the development will come to the door definitely. But it is very matter of sad that we have the laws and all other body require for administration of justice but yet it has not reasonably face to light. Laws of the people’s republic of Bangladesh especially Criminal laws are well but its enforcement cause the criminal system failure. The country yet enforces death penalty as capital punishment whilst other developed country keeps them away from such severer punishment. There exist some laws which should be reconsidered for the present time being. For example where any offence punishable with imprisonment or fine, if fine is awarded for that offence by the court the fine is so small in amount e.g. 500tk, 1000tk. The second main cause of failure to the administration of criminal justice in Bangladesh is its lengthy process of trial. Though the country itself full of crimes the adjudication should be hurry. In adjudicating a criminal case in the present time it takes almost 5 to 10 years, depended on nature of the case, which impliedly allow the criminal that he can find any way to get rid of the charges alleged against him. Incapacity or incapability of the judges here means limitation to the judges in functioning their work. They are subjected to certain limitation either imposed by law or by the local and political pressure. Besides they are deprived of training on judicial system and deprived from using good conscience as they always kept in pressure. It is held in many case that the judges try themselves to use good conscience but failed to ensure justice. The root cause of this failure is lake of training as well as international training on judicial system. Power of appointment of the judges is provided by the constitution of the country and the process of appointment is directed and selected by the examination hold by the Bangladesh Judicial Service Commission. The appointment and selection of judges must have to be fair. It is often claim appointment made out of money and political thinking which allow less qualified person to a judge where the more qualified person are deprived so the qualification of the brilliance become waste which may reasonably develop the criminal justice system and in large development of the country. Bribery and biasness of judges is also liable for the failure to administration of criminal justice. It’s often claimed that the magistrates or judges of the judicial system are engaged in bribery. They take pecuniary benefit and give judgment towards them or by taking money for granting bail or not granting bail also. Biasness in its sense may be economical, political or relational in its nature. Whatever, the judgment given by taking pecuniary benefits or biased in other way the ultimate cause is failure to criminal justice system. Incapacity of lawyers means role of some unqualified lawyers. The enrolment process of the earlier time had allowed various numbers of incapable or unqualified people to be enrolled as an advocate. It is often told that whoever have unsuccessful professional carrier has just ensured a degree in law and in any way get enrolled it means they consider law profession as the last choice.. It is also claim that enrolment can be got by political linking, giving money and many other way though the enrolment is followed by the procedure of Bar Council Order, 1972. Granting bail in case of non bailable offence is another root cause of failure to administration of criminal justice. The offender gets bail after commission of an offence from the court and habitually engaged themselves in other offence and as well as intimidation to the plaintiff who is seeking remedy. Bail in case of non bailable offence is the discretion of the court but in most of the cases it is seen that the judges took pecuniary benefit and apply their discretion in the wrong way or in considering the part of the accused in the offence consider wrong. Granting bail in case of non bailable offence using discretion power of the judges in corrupt manner is another vital cause for the failure to criminal justice. Police is the most important part of criminal justice system. This is the main body which enforce the laws and as well as who brings the offender within judicial capacity. The police of Bangladesh are working hard on ensuring criminal justice but it is suffering from various incapacity and incapability. They are suffering from lake of weapons and high qualified training on crime. Appointment of the police is largely connected with the administration of criminal justice. It is often seen that the appointment is made out of money or political thinking. In every term of the government it becomes visible that the persons of the government side is appointed and as well as promotion is also given by breaking all the rules. Thus it can not be desired that a police man appointed in a corrupt or illegal way can work legally. Taking bribery and working with biasness are the other obstruct to the prevention of crime and in large criminal justice system. Corruption of the police man, releasing accused on taking money, harassing common people for money, cruelty to the accused, rude behavior with the plaintiff or victim, torturing in remand for money etc are some function done by some corrupted police officer which are opposed to natural criminal justice. Though it is often claim lower standard of remuneration is the cause of corruption by the police. Staffs of the court have unbeaten role in judicial system. There are empowered to deal with the judicial documents and so far s every dealings with this documents is over their hand. Any conspiracy or wrong to the documents may destroy a case infact judicial system. Appointment or the staffs are subjected to question form the earlier time. It is often claim that they are appointed on his post by providing brinbary or money. They have to count a big amount for the post which renders judicial system to fail. Relation to powerful man or political support is also allowed during appointment. Bribery of the staff of the court may injure judicial system. Bribery of the staffs may give unlawful facilities to the offender which may cause failure to eh criminal justice system. The court is suffering from shorten from of man power. Where the courts of the country are about to sink on burden of cases but It is suffering from shorten of man power. Efficient work of the body or organization related to criminal justice system for example Law Commission, Bangladesh Judicial Service Commission etc. is largely related to the justice system of Bangladesh. Whenever they are interfered or they are used for benefit of any group the justice system gets it leg to be cut off. 16. Poverty of the victim is also liable for seeking justice. This is in the way that whenever any criminal act is done against him he can not claim remedy only thinking that” the case or justice is only for the rich people”. 17. Low trust on the judicial system by the common people is another cause of failure to criminal justice system. People’s in the mean time going to believe traditionally that nothing can be done to the offender. 18. Failure to give security to the Plaintiff and Witnesses are most important cause for failure to justice. Generally offender is more powerful than the victim or plaintiff. After filing a case it often found the plaintiff or witnesses of the case are threatened to participate in judicial proceeding but security of the plaintiff or victim or witnesses can not be guaranteed. 19. Institution or filing of false and vogue case are also liable to failure to ensure criminal justice in the country. False and vogues cases are often filed whereas the trial of real offence are pending for long times. 20. Burden of cases in the criminal courts of the country is also liable to failure to administer criminal justice. 21. Withdrawal of complaint in consideration of money or in force is made in many cases which refer no trust over the judicial system and impliedly give strength to the offender that money can withdrawn complain”. 22. Unqualified laboratory and Forensic department or hospitals are specifically connected with the criminal judicial system. In criminal case by an authentic report of that institution may specify or give the nature of the offender. But unfortunately Bangladesh is not much advanced in this matter. Even for a simple DNA test the sample shall have to send to the foreign country which delay the judicial procedure and at large cause harm to the criminal judicial system. 23. Withdrawal of cases in political thinking is also a vital cause to the failure of ensuring criminal justice. The Constitution of Bangladesh has expressed no one is over the law. But in real the cases can be withdrawn by political thinking which dis encourages the natural criminal justice. 24. The judiciary one of the fundamental organs of the state though in papers works independently but in real aspect the judicial proceedings are yet interfered by the political impact or pressure. The laws of the nation should be reconsidered as to their punishment or fine or for their enforcement. The law has given the procedure but it can not be enforced because of the poor process of its enforcement. Besides law, the procedure of the laws how can be followed or enforced more efficiently and quickly should be considered in considering the present condition of the country. High qualified training and international training are required to be held because of gaining knowledge of judicial system of the other developed country to ensure development of the judicial system of our judicial system. Whenever the judges of the country can work without any pressure after having a good qualified national as well as international training the criminal judicial system of the country shall get its life. Appointment of less qualified and also corrupted, biased man as a judges can totally break judicial system of the country as he will decide everything defectively for his disqualification and his decision shall not be pleasant because of his corruption or biasness. So fair appointment of the judges must have to ensure and qualification should be valued. Strict observation and steps should have to take as the bribery and biasness of the judges may break down natural justice. Strict observation over the judges should keep always for preventing them from allowing bribery and from giving any judgment by biasness. Necessary steps or training should be given to the advocates to build up them so that they can seek remedy to the victim. Specially international and national training should ensure for the government pleader as they are the pleaders who act on behalf of the plaintiff and in most cases plaintiffs are the sufferer. 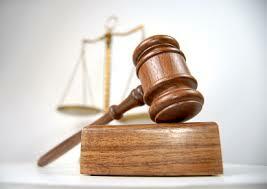 Steps should be taken to develop law profession so that the qualified people get interested in this profession. The process for enrolment as an advocate must be completed in fair way. No political linking or pressure, money and any other unfair process should not to be allowed. Reasonable steps should be taken to prevent use of discretionary power of the judges in corrupt way. Also High qualified investigation should be done regarding the connection of the accused, when any person is brought before the court in charge of any non bailable offence so that the court in granting bail to non bailable offender can administer justice. High qualified training and availability of necessary weapon should be produce as require for ensuring criminal administration justice system. Police the law enforcing body should keep out of any pressure e.g. political pressure and everyone of the country should assist them in functioning their work. Observation to the function of the corrupted police officer should be made and if found guilty for such kind of corruption strict steps should be taken for their punishment. Remuneration of the police should be fixed to a minimum standard, other facilities as required for living should ensure so that they can run their family normally and pleasant atmosphere should given for seeking their performance. As staffs of the court are hardly connected with judicial system the appointment of the staffs must to be done in fair way. No allowance or Biasness should be taken in case of appointment because a person come through legal process is bind by duty to work legally. Reasonable measures should be taken to stop taking bribery by the court staffs. Observation over their work or conduct and punishment for such bribery should be ensured. 14. Efficient working of the body related to criminal justice system e.g. Law Commission must be ensured. 15. Security to the Plaintiff and Witnesses must be ensured because the part of the plaintiff or witnesses is very much important for the natural criminal justice system. 16. Necessary action should be taken against false and vogue case. In case of filing false case the punishment procedure should be followed and precedent to be made so that no case shall be filed only for harassing others. 17. Steps should be taken to reduce burden of cases. For example by appointing man power as much it needed, by responsible duty abeyance by the judges, police and lawyers etc. 18. Qualified laboratory and Forensic department should be established or constructed. High qualified training for the doctor or other person who may hold the post on that kind of institution. 19. Political pressure over judicial system will have to remove. As the judiciary or judicial system is a separate organ of the state it should given to work on its own way. No interference should be done in respect of judicial service. 20. Further and reconsidering the admissibility and acceptance in case where convicted prisoners are to be pardoned.